The UK Standard for Professional Engineering Competence (UK-SPEC) sets out the competence and commitment required for registration as an Engineering Technician (EngTech), Incorporated Engineer (IEng) or Chartered Engineer (CEng). It also includes examples of activities that demonstrate the required competence and commitment. The areas above are set out separately for each title and constitute the threshold generic standards. To assist potential registrants, their advisers and professional review interviewers in deciding which title an individual should apply for, a matrix comparing the requirements for all three titles is also included in UK-SPEC. 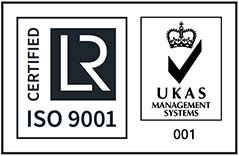 Since its introduction in 2003, UK-SPEC has become well respected and recognised globally. It was most recently reviewed and updated in 2013, with the third edition published in January 2014.